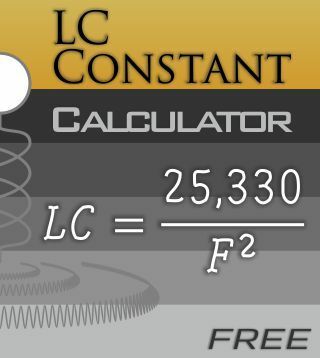 The LC Constant Calculator will calculate either the inductance or capacitance required in order to resonate a circuit at any frequency. The LC Constant Calculator will calculate either the inductance or capacitance required in order to resonate a circuit at any frequency. Use this calculator to design RF coils/inductors, oscillators and more.